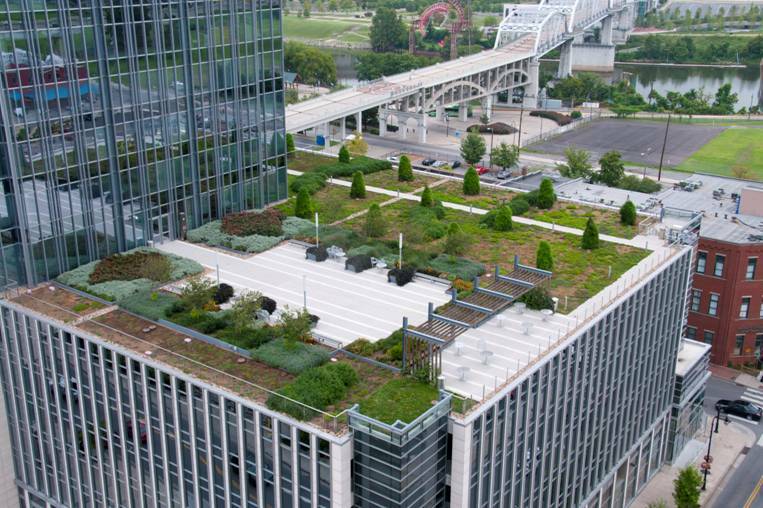 Improve your next project with green infrastructure! A key feature of New Jersey Future’s Mainstreaming Green Infrastructure program is the advancement of demonstration projects that illustrate the powerful benefits of green stormwater infrastructure in private-sector development or redevelopment projects. New Jersey Future’s Developers’ Green Infrastructure Grants Program will identify and support at least two private sector development or redevelopment projects located in one of the William Penn Foundation Delaware River Initiative Areas of the Highlands of northwest New Jersey, or the broad area of southern New Jersey underlain by the Kirkwood or Cohansey aquifers. Private-sector entities with projects located within these areas are encouraged to apply! Projects can be conceptual or in design, provided the opportunity exists to add or enhance stormwater management with green infrastructure practices. What matters is that the project is “real” — with construction expected to start within two years — and that the project sponsor is willing to go the extra mile to add green infrastructure features that make the project a great example of how green infrastructure can protect water quality and confer triple-bottom-line (environmental, social and economic) benefits to the property owner and community. Each selected project will receive design, finance and/or legal consulting services valued at up to $25,000 to help develop, present and implement detailed plans that demonstrate innovation and design excellence, as well as technical, financial and regulatory feasibility. To apply: Builders, developers, property owners or design professionals interested in applying for a Developers’ Green Infrastructure Grant should follow the application guidelines and complete the online application form. Applications will be accepted through midnight Monday, November 19, 2018. Winners will be chosen by Thursday, January 31, 2019. Questions? See our frequently asked questions or contact Kandyce Perry (kperry njfuture org) . New Jersey Future’s Mainstreaming Green Infrastructure program, funded with generous support from the William Penn Foundation, seeks to make green infrastructure the first choice for stormwater management in New Jersey. We do this in three ways: working with towns, working with developers and design professionals, and accelerating demonstration projects through this competition.